Commercial Vs. Custom: What Advanced CMS Solution Is Right For Your Business? NP GroupBlogFor Potential ClientsCommercial Vs. Custom: What Advanced CMS Solution Is Right For Your Business? As your business continues to grow and expand, it’s likely you’ve already come to the conclusion that an out-of-the-box content management system simply can’t hack it when it comes to your website. Now comes the next big question: Should you go with a commercial CMS or something custom? This can be a tough choice, especially when cost is a factor. The advantage of a more advanced CMS over something off of the shelf is that your biggest expense will be up front—that is, you won’t have to pay more in the long-term constantly having to bend and break a system that doesn’t already fit your needs. But there are key differences between a custom CMS and a commercial solution that can also play a part in the cost. In many cases, you won't notice the difference until down the road when you suddenly have a growth surge. 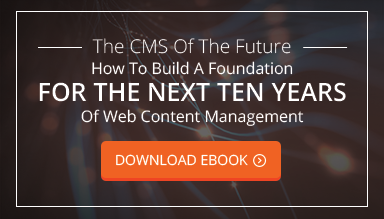 It's here where you can find a path toward deciding whether you should consider a custom CMS platform. First, it's time to look more carefully at your business and see what kind of site you need now and in the near future. Different industries have different website needs, yet you may not fully understand this about your own business without some research. Some industries, like the publishing industry, could easily require last-second changes on a site that a commercial CMS system can't always provide. For instance, you may need to adjust the user interface immediately to accommodate new writers visiting your site. Or maybe you'll need some quick changes to your digital asset management system to allow the uploading of images on published pieces. This doesn't include content tagging on each piece of a writer's content. These aren't the only changes your site might go through. If you have a regular e-commerce business, branding changes could occur down the road, requiring what a commercial CMS can't allow. With this in mind, you need to look at the projected timeline of your site, what you really need now, and what's possibly required later. A major problem with commercial CMS platforms is that you sometimes have to pay for template designs employing features you don't really need. Why pay for things you know you'll never use and can't easily remove? You also can't add custom features to a commercial CMS when you need them in a hurry. With a custom CMS, you'll have better timing on adding things during strategic times. While commercial platforms periodically update their features, you usually have to wait until they become available—or shell out a large sum of money to get them added. As mentioned above, a branding change may become necessary for you within the next few months. Whether you're a retail business or a law firm, a custom CMS lets you take away what you used before and add new designs before you officially re-launch. One thing about using a commercial CMS is having to take on a licensing fee. Doing this can bring some internal strife in your company if various stakeholders want specific control of what goes on your site. Licensing fees can also end up being bloated because commercial CMS platforms frequently try to give you as many features as possible. You may end up paying for features that you can’t and won’t ever use. A custom-built CMS gives you complete control while letting you add what everyone in the company wants. When you have to stick to a budget, custom options let you spend money only on what's necessary.